The clinic is at the lower end of Wilkinson Street, visible on the left from Hannover Way. 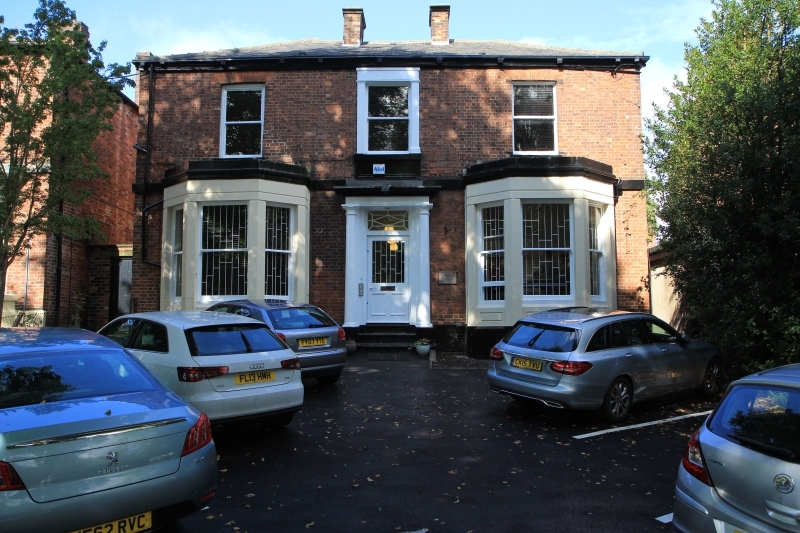 You can either turn left from Hannover Way onto Glossop Road, or if already on Glossop road, turn onto Wilkinson Street and go down the hill from Scott’s Pantry sandwich shop on the corner; Remedy Physio is over the cross-road and the fifth building on the left. When you arrive at the clinic the main entrance is at the front of the building, walk straight along the hall into the waiting room where you will be met by our receptionist. We have eighteen car parking spaces for patient use; ten at the front of the building, and eight at the back on Wilkinson Way. We are increasingly seeing lots of our patients arrive by Bicycle. We welcome you either to bring your bicycle into the building, or use our bike racks at the rear of the building to lock your bike up and benefit from CCTV security. We have full accessibility for patients with impaired mobility. The disabled access is to the rear of the building where there is level access for wheelchairs plus disabled toilet. We are a two-minute walk from the ‘University’ stop. Pass the Sainsbury’s Local on the corner and walk down Hannover Way. Take the first right onto Wilkinson Street and we are the second building on the right. We are a one-minute walk from the nearest bus stop. Take the 120 to the stop on Glossop Road opposite the University. Get off here, walk along Glossop Road towards the Hallamshire but turn left at Scott’s Pantry on the corner. The clinic is just down the hill on the right.